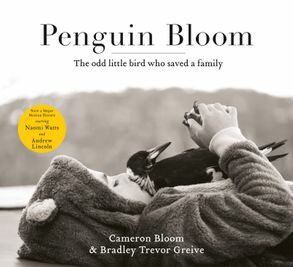 PENGUIN BLOOM is a unique journey of recovery and an extraordinary celebration of life, featuring Cameron Bloom's exceptional photographs and a captivating narrative by NEW YORK TIMES bestselling author Bradley Trevor Greive. Penguin the Magpie is a global social media sensation with over 113k followers on Instagram. People the world over have fallen in love with the stunning and deeply personal images of this rescued bird and her human family. CAMERON BLOOM began his career as a surf photographer at the age of 15. Since then his editorial and travel images have featured in many international publications. Cameron is also the award-winning cinematographer of SURRENDER, which was screened at the London Art Fair. BRADLEY TREVOR GREIVE AM became a publishing sensation after the release of THE BLUE DAY BOOK in 2000; he has since sold more than 25 million books in 115 countries. In 2014 BTG was awarded the Order of Australia for his service to literature and wildlife conservation.